The happy couples Macarthur Park wedding ceremony was filled with happiness and laughter, they were so relaxed as they exchanged vows and tied the knot. 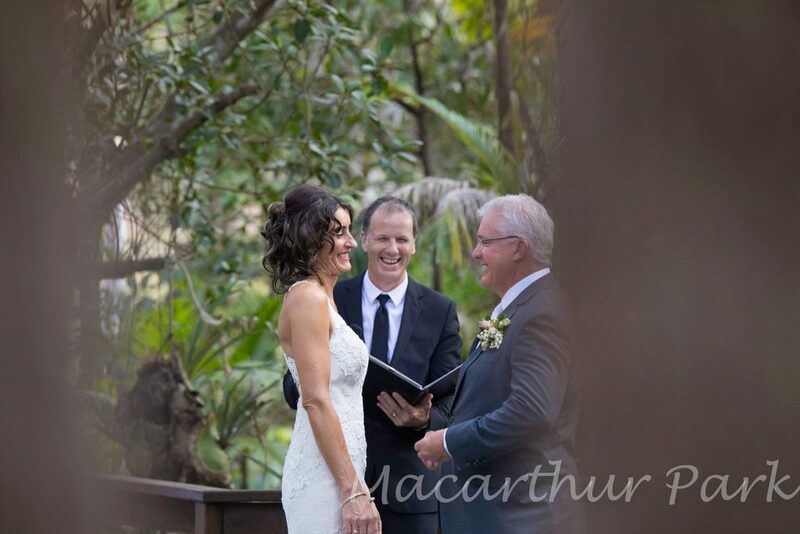 I was first introduced to this venue located at Brisbane’s South East, last year during my annual Celebrant Training, known as OPD – Ongoing Professional Development which all Celebrants are required to attend to keep us up to date with changes to marriage. As part of our training we were taken on a tour of several wedding venues around the Redlands and I was so impressed to see this lovingly renovated old chapel in addition to the garden wedding ceremony location. The venue only accepts one booking at a time, which means those opting for a garden ceremony, always have the chapel available as a great wet weather back up option if the need arises so the prospect of rain needn’t dampen anyone’s day. While the happy couple had a professional photographer on hand, the owners were kind enough to take some great photos of the ceremony, so the newlyweds could re-live their special ceremony while they await their professional images. 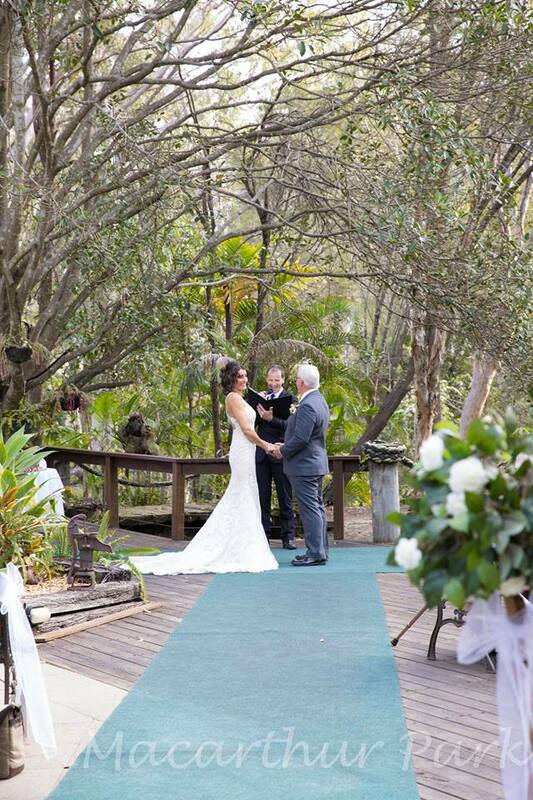 Niki and Darrell’s opted for the ceremony gardens with the rainforest backdrop. Nothing makes me happier than receiving a 5 star review from my happy newly-weds. Thank you so much for your kind feedback! 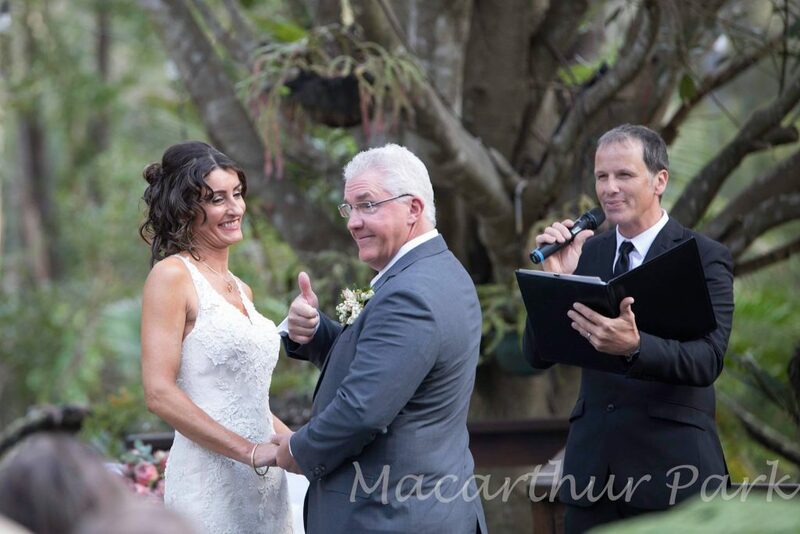 If you enjoyed this post and you are looking for a Celebrant for your Mcarthur Park wedding, or elsewhere in Brisbane, Jamie Eastgate of Brisbane City Celebrants would love to hear from you. Contact Celebrant Jamie to confirm availability for your special day.